If you don’t have a great set of headphones for your PSVR, you aren’t getting the full VR experience. Virtual Reality is all about immersion; it feels like you are really in the game. When the sound quality is low, you don’t have HD 3D surround sound, or you hear outside noise, you lose that immersive experience. So, what are the best headphones for the PSVR? How to Choose Headphones for the PSVR? There are several factors you must weigh when choosing your headphones. Sound quality is essential, but other things like wired vs. wireless, sound cancellation, and type of headphone (earbud, on-ear, or over-ear) will affect your experience. Headphones vs. Earphones/Buds-What’s Right for You? Let’s start with the most obvious question, headphone or earbud? While earbuds can be great in certain situations, virtual reality isn’t where they shine. Unfortunately, earbuds just can’t match the sound quality of a good pair of headphones. The drivers (speakers) of headphones are larger which tends to produce a greater range of sound. Additionally, earbuds inject sound directly into your ear, where headphones play the sound into the air around your ear. As pointed out in this audiogurus article, by playing the sound into the air around your ear, it allows for psychoacoustic environmental effects that earbuds can’t do. So, if you want the best sound quality, you need to get headphones. That said, some people don’t like the feel of headphones or the openness and breathability of earbuds. So, this one is purely a personal preference. If you prefer earbuds and don’t mind a little loss of audio quality, earbuds will do just fine. However, since there is a difference in sound quality, I’ve only included one set of earbuds on this list. Over-Ear vs. On-Ear - Which is better? Regarding sound quality, there is no stark difference between these two options. In fact, some brands offer both on-ear and over-ear versions of each of their headphones. As with the earbuds, there is a certain amount of personal preference that goes into this choice. What feels better to you? However, the over-ear headphones have one distinct advantage over the on-ear headphones. Over-ear headphones block out more outside sound. Thus, my recommendation goes with over-ear headphones. Wireless vs. Wired - Does it matter? 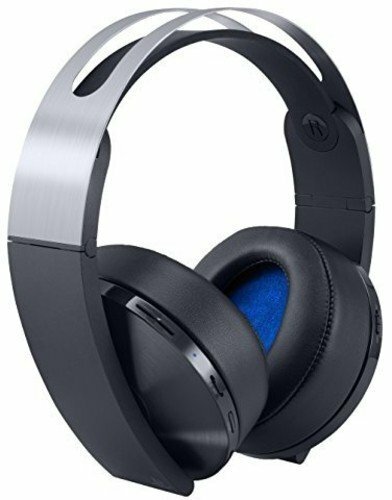 In most many situations, including gaming, many people prefer wireless headphones for obvious reasons. However, with the PlayStation Virtual Reality, you need wired headphones plugged into the VR headset to get the full 3D audio experience. Wireless can work, but it will only give you stereo, which loses some of the virtual experience. Thankfully, several headphone brands are now offering wireless headphones with an optional wire. You can plug in a 3.5mm stereo into the headphones which turns off the wireless functionality and then plug the other end into your PSVR headset to have the best of both worlds. Length of the wire: When using wired headphones, typically a longer wire is better. However, since you are plugging into the PSVR headset, you want a shorter cord, so you don’t have wires dangling around you and getting in the way. Headphone shape: If you go with headphones, you need to make sure the headphones will fit properly around the PSVR headset. All the headphones on my list below should work fine. Pro tip: Position the PSVR headset above the headphones, so it sits gently on top of the over-ear headphone on each ear rather than having the headset resting on your ears with the headphones over the headset. Sound Quality: I understand budget may play into your choice, but keep in mind the point of getting headphones is to improve the sound quality over the PSVR’s built-in headphones. The quickest and easiest way to determine the relative sound quality of a pair of headphones is to check the reviews. What do people who have used the headphones think? If you want to get a more detailed analysis of what makes a high-quality sound, I recommend to read this article. Sound Cancellation: When in virtual reality, you want to block out as much outside noise as possible. Sound cancellation helps immensely in this scenario. Make sure your headphones have sound canceling technology. Thankfully, most of them do. Weight: Weight isn’t usually a huge factor, because most headphones are pretty light, but if you are planning to wear your headphones for long periods, lighter is better. Mic or No Mic? The PlayStation Virtual Reality headset has a built-in mic. It’s good enough for what most people would need, but it isn’t the best if you want to record your gaming, including what you are saying while gaming. Here you may want to consider buying a headset with a higher quality built-in microphone. Bonus Tip: Where do you plug your headphones into the PSVR headset? 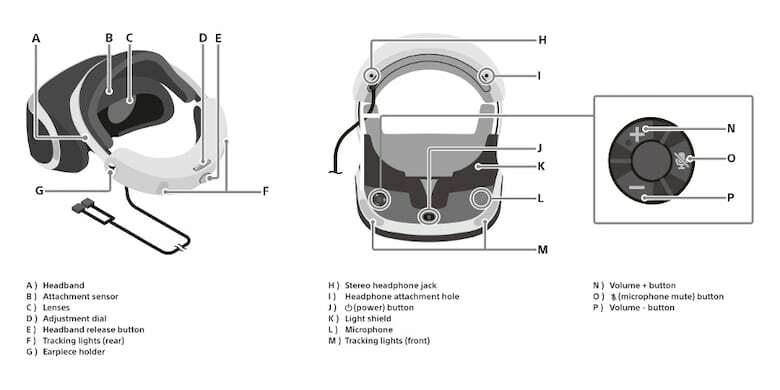 For the 2nd version of the PlayStation VR headset, plug the headphones into the one or two 3.5mm headphone jacks on the underside of the back of the headset. The headphone jack located by the audio controls is stereo if your headphones only have one plug. If you have the first version of the PSVR, there is an audio dongle with a single 3.5mm jack where you plug your headphones. Note: The PSVR integrated headphones can be removed by disconnecting the wire and unsnapping them from the headset. Tuned By A Grammy Award Winning Sound Engineer- 1MORE collaborated with internationally acclaimed producer, mixer, and sound Engineer Luca Bignardi to perfect the final Tuning to deliver a precise representation of your favorite artist's intended sound. 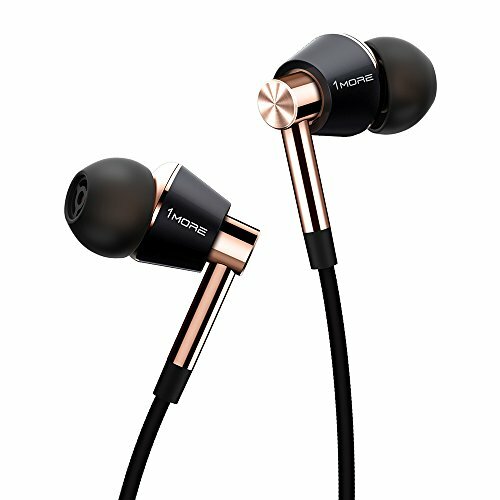 The 1MORE earphones are as good a sound as you can get from an earbud. They have 3 drivers which create a rich, balanced sound from the bass through the highs. A Grammy Award-winning sound engineer designed the interior design of these earbuds. The earphones do not have active sound cancellation, but if you use the proper sized silicone tip to get a correct seal, you should block most of the outside noise. They have an ergonomic design to fit your ear comfortably, and they look pretty awesome as well. The attached microphone is a high-quality MEMs mic which shouldn’t necessarily replace the built-in PSVR mic but will serve you well if you also use the earphones with your phone. If you prefer an earphone over a headphone, these are likely to be great choices for you. You can get your 1MORE earphones here. The Game One headset was designed specifically for VR gaming. It has an excellent quality sound, though not the best on this list. The headphones are lightweight and have a pad at the top of the headband for comfort. These are over-ear headphones with noise canceling technology to insulate your ears from outside sounds. They also have vents built into the cups (the part of the headset that goes over your ears) and use breathable plush velour cover to keep your ears ventilated and cool during long periods of use. What sets these headphones apart on this list is the built-in, boom arm microphone. This microphone is sensitive to a wide range of frequencies to ensure a high-quality sound. It also has noise canceling technology in the microphone to remove distracting ambient noise when speaking. If you intend to record your voice while playing, these headphones are definitely worth considering. 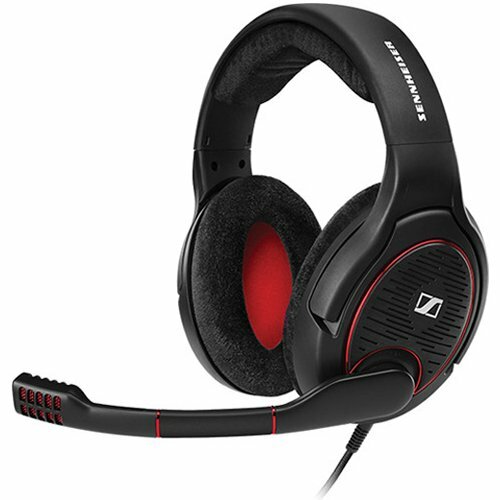 You can get your Sennheiser GAME ONE headphones here. Eliminates ear fatigue that occurs with regular headphones or earbuds. Lightweight, rests gently on the ear without sacrificing sound. The Bionik BNK-9007 Mantis headphones are specifically designed for the PlayStation Virtual Reality headset. 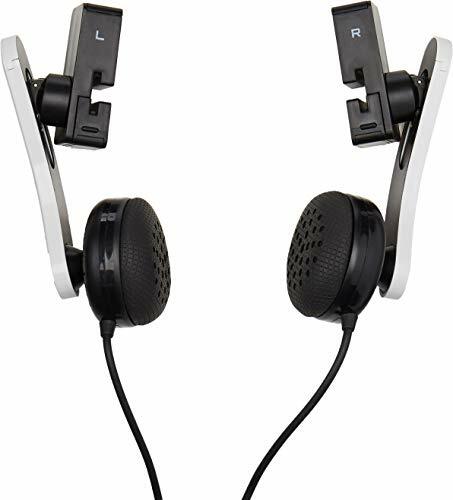 They snap onto the sides of the headset like integrated headphones and are easy to attach. Each side has a separate cord which connects to the appropriate side of the VR headset. The wires are relatively short, preventing excess dangling, though they aren’t as well concealed as the headphones that come on the PSVR. The quality of these headphones is not nearly as good as other headphones on this list, but their designed integration makes them unique to the list. They are light, dust resistant, and you can adjust their position to fit your ear. If you don’t wish to fumble around looking for your headphones after you put on your virtual reality headset, these headphones might be just what you need. You can get your Bionik BNK-9007 Mantis headphones here. The PlayStation Gold Wireless headphones produce an excellent sound quality. You will get a great sense of the virtual surround sound with their built-in 7.1 virtual surround sound. Unfortunately, they don’t have 3D sound like their next generation Platinum headphones. The versatility of these headphones makes them stand out. 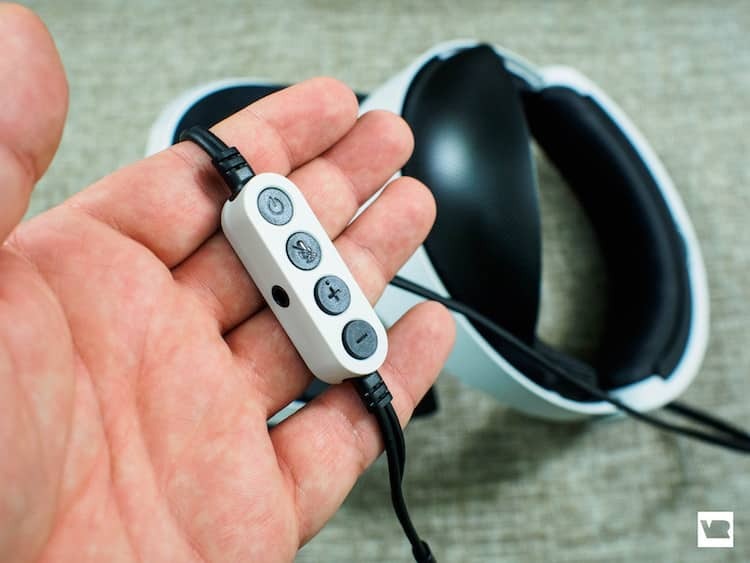 They are wireless, but also have an optional 3.5mm cable which allows you to connect wirelessly when playing regular console games and directly to the PSVR headset when playing VR games. The headphones are compatible with both the PS3 and PS4 as well. So, if you have an old PS3 that you like to play, these will work just fine. These headphones are comfortable and easy to wear. They also have swappable faceplates so you can choose your style. If you want to have headphones that work with your old PS3 or if you don’t want to drop as much money as you would for the PlayStation Platinum Headset, these headphones should work well for you. 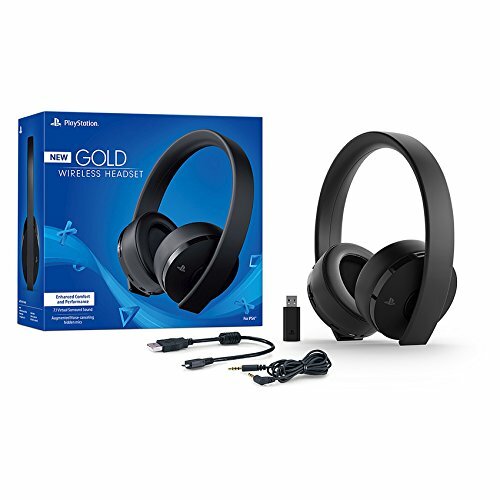 You can get your PlayStation Gold Wireless headphones here. Bose is known for their high-quality audio sound systems, and the QuietComfort 25 headphones don’t disappoint. They have excellent sound quality with clear highs and deep lows. They will give a good sense of virtual surround sound like all stereo headphones plugged into the PSVR headset will, but do not have built-in 7.1 virtual surround sound or 3D audio. I chose the QuietComfort 25 over the newer 35 series due to the wired connection. The 35 series is wireless and doesn’t appear to have a wired option. While wireless is great, it’s not worth losing the virtual surround sound from plugging directly into the PSVR headset. The QuietComfort stands out is in sound cancellation. Between a tight fit around your ear and active noise canceling technology, it eliminates nearly all outside noises, enhancing the immersive virtual reality experience. The headphones are lightweight and comfortable and come with a nice and compact carrying case. If you tend to play in noisy areas and want to block all outside noise and leave the world behind, these may be the headphones you were looking for. 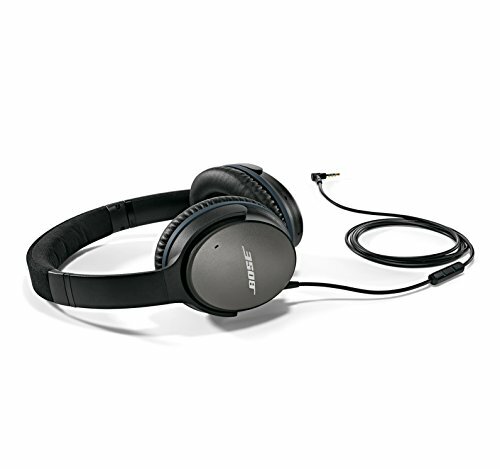 You can get your Bose QuietComfort 25 headphones here. Built with high-quality, premium components, the Sennheiser HD 598 Cs headphones will give you a beautiful high definition sound that challenges any headphone on the market. Their noise canceling technology eliminates most of the outside noises, leaving you with nothing but the sounds of your virtual environment. The headphones are lightweight and beautifully crafted by one of the best audio design companies in the world. Their soft leatherette earpads give a luxurious feel. If you want an excellent sound, with good noise cancellation and a luxurious feel, these headphones should work perfectly for you. 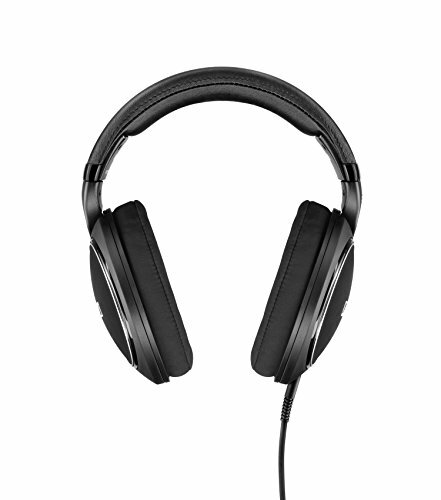 You can get your Sennheiser HD 598 Cs Closed Back headphones here. Sony’s PlayStation Platinum Headphones are among the best in the market. They offer phenomenal 7.1 virtual surround sound with 3D audio. The headphones also provide adjustable levels so you can customize your audio experience. These headphones are wireless but also come with a 3.5mm stereo cable. This gives you the best of both worlds. When you are listening to music or playing non-VR games, you can use the wireless feature, so you aren’t tethered to your console. When you are playing VR games, you can plug into your PlayStation VR headset for the full 3D virtual surround sound experience. Some people have complained that too much outside noise is allowed in because the headphones don’t fit well enough to your head, but there are only a few headphones which can match the Platinum headset. If you want one of the best headphones for virtual reality gaming, these are your top choices. You can get your Sony PlayStation Platinum headphones here. My choice for the best headphones for the PlayStation Virtual Reality is Sony PlayStation Platinum Headset. They have a phenomenal sound quality with 7.1 virtual surround sound and built-in 3D audio. That alone puts them at the top. Add to that the option of either wireless or wired and customizable audio settings and you can see how they are at the top of their game. What do you think? Do you have a favorite pair of headphones that aren’t on our list? What are some of the most important factors to you while buying headphones? Let us know in the comments below. If you found this article helpful, go ahead and share it with your friends. Uhh wireless headphones don’t work with PSVR last time I checked. I have the playstation gold’s and it displayed an error message that I couldn’t use them. It’s really strange. If we are talking about the Sony PlayStation Gold Wireless Headset, it should work. The headset was created with PlayStation VR in mind. Maybe your headset has been damaged? Or his are the older ones that are not compatible with the PSVR.